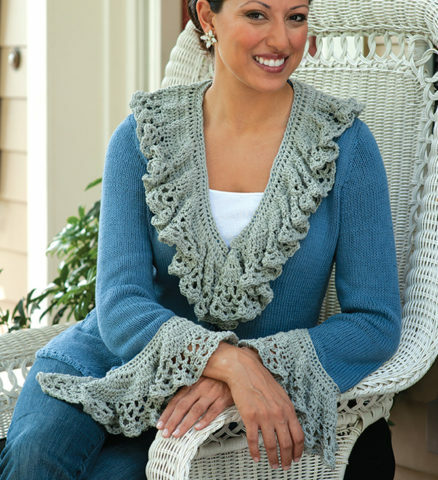 Inspired by Harpers Ferry West Virginia and evoking Civil War era crocheted lace fichus. 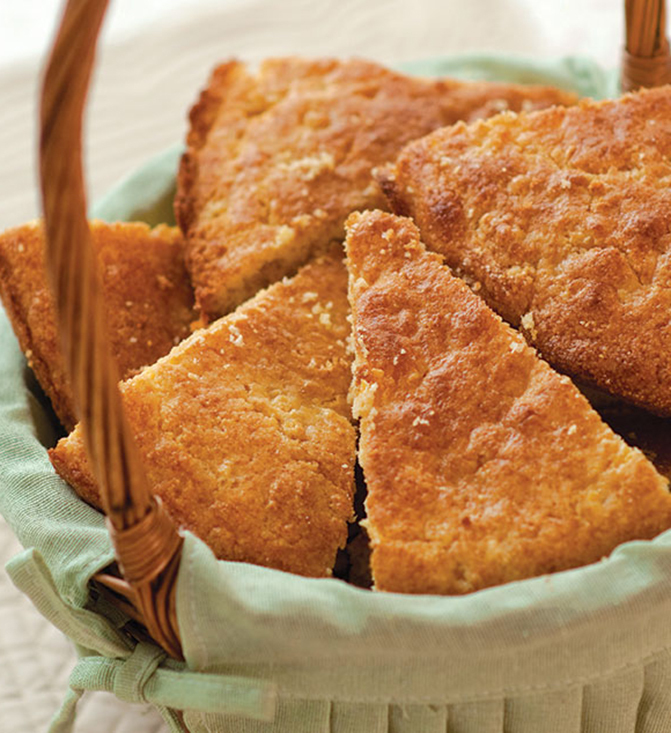 Pattern includes West Virginia travel tips and recipe for Crazy Good Cornbread. West Virginia’s Civil War history is unique in that the state itself was born from the conflict between North and South. Virginia and West Virginia were one unified state, but when residents of the western region allied with Union troops, the Virginia Commonwealth was split. 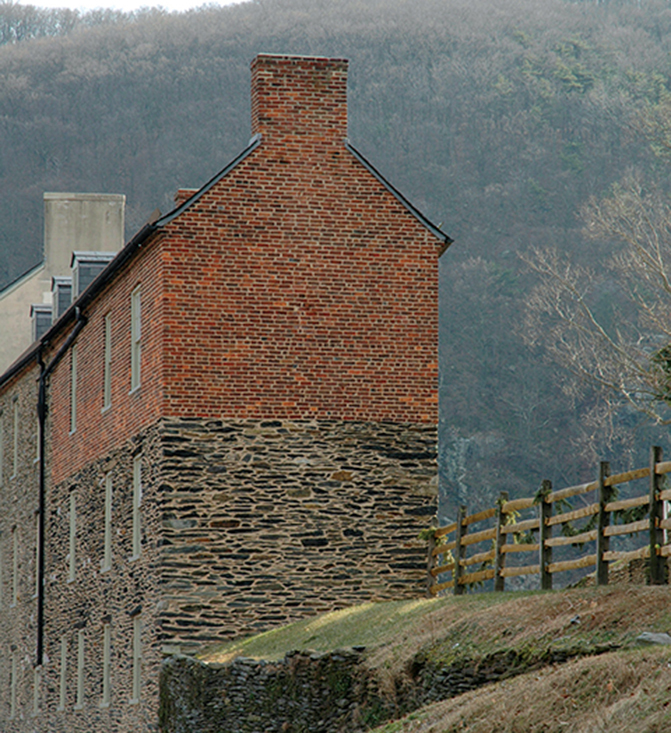 Union troops set fire to the arsenal at Harpers Ferry, and the war began. This feminine version of a denim jacket celebrates the joining of Union Blue and Dixie Gray. It has a beautiful drape that allows the fabric to breathe and is knit in a cotton/lempur blend yarn making it more fluid than the average cotton. 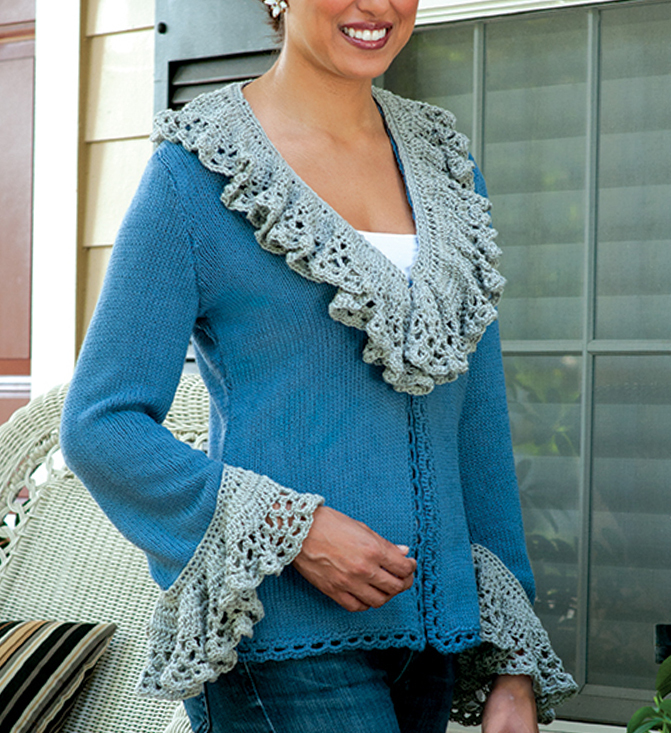 The lacy collar and split sleeves are inspired by traditional styles of the mid-19th century. Toss it on over a tee and jeans for a softer take on denim casual, or wear it with linen pants and a silk tank for a spring or summer evening out. Pattern includes West Virginia travel tips and Beth's recipe for Crazy Good Cornbread. Fit Tip: This jacket is fitted, but body-skimming, and designed to be worn with about 3-4” (7.5-10cm) of ease. Choose a finished size 3-4” (7.5-10cm) larger than your bust measurement. Elisha is wearing a size XS. She has a 35” bust and usually wears a US standard size 4 or 6.